The O’kelly home and grounds had begun to decline as the O’Kelly sisters became little old ladies. They were the last residents on this spot where the home once stood at 123 N. Sixth Street in Monroe, Louisiana. The O’Kelly home was purchased by Henry O’Kelly in about the year 1871 and the family continued to live in the home four generations until it was sold and moved in 1971. 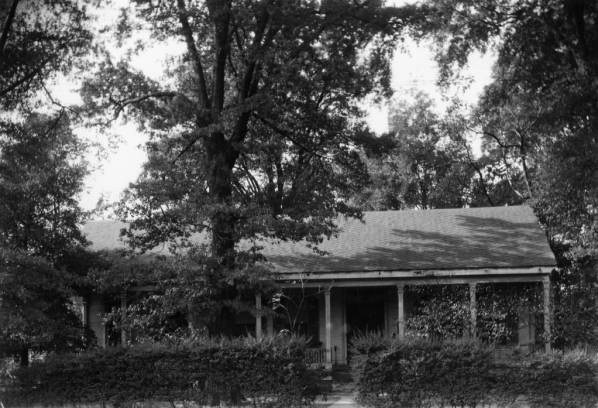 In the O’Kelly’s century of residence little was changed inside or out and my Grandmother described it variously as a museum, a time capsule and library for students interested in the study of Louisiana history. She claimed that she lost herself for entire days browsing amongst the bookshelves and curiosities that filled the home. Each item was a treasure, had it’s own story and although I have never stepped foot in our family home, I know it’s tales well. The O’Kelly Family Collection came from this home, stored by descendants in trunks, hat and shoe boxes, kept in garages, attics, and closets. There were fires and floods and what was once a vast collection that filled an entire house has dwindled to a bookshelf of our history. My Grandmother inspired me to collect, preserve and share our history. It is to her loving memory that The O’Kelly Family Collection is dedicated.